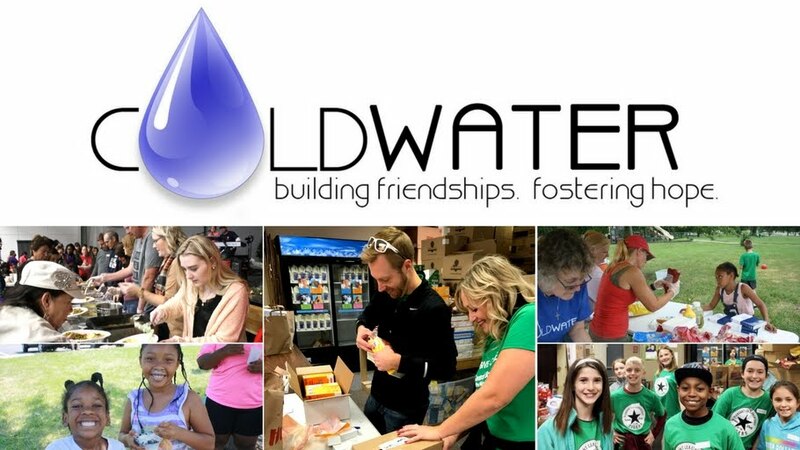 Coldwater of Lee's Summit: Walk for Coldwater Village a Success! 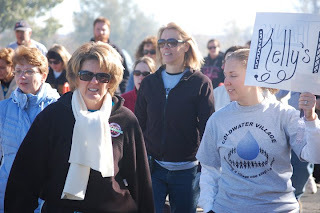 Walk for Coldwater Village a Success! The first annual Walk for Coldwater Village had great success. 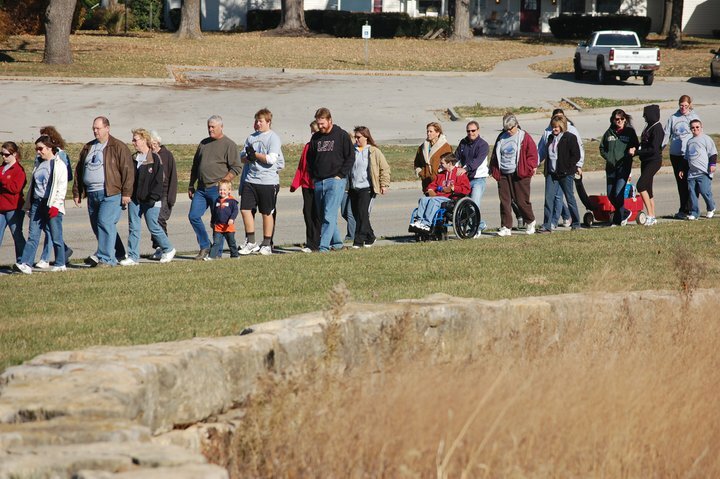 The Walk raised over $11,000 for Coldwater's Special Needs Team which serves special needs families in the Lee's Summit and surrounding areas. 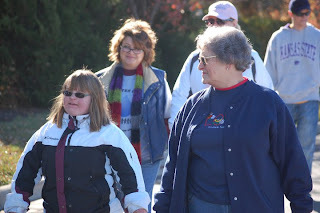 This first major event for the Special Needs Team demonstrated the great desire of community members to support and encourage speical needs families. Read below for a story and photos of the exciting day! The day dawned brightly with the promise of beauty and warmth. The crispness in the early morning air only added to the excitement and anticipation of the day ahead. Friends started arriving around 8 in the morning , shouting greetings to each other as they began preparations for the day. 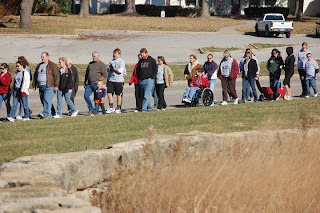 It was November 6, 2010, the day of the “Walk For Coldwater Village & Harvest Festival”. The time for planning and dreaming had come to an end; the moment of truth had come. Would all this planning and work pay off? Could they dare to hope that there were others in the community that recognize the challenges these special needs children and young adults and their families face each day? Would the people come out to support them financially? Would they join in their passion to provide the best possible life for their child right here in their own community? Could the vision of housing, day-hab, jobs, transportation, and fun times with friends become a reality? It was time to find out. Tables were set out. Tents were raised. Goods were set out for selling. A small fire to warm by was started in the fire pit. The Knights of Columbus arrived with their grill ready to cook for all the participants. The carnival games were set up. The bounce house was filled with air. The tractor was in place for the hayrides. The horse arrived to entice the children to climb aboard for a ride. The cakes were in place and ready for the cake walk to begin. T-shirts were a hot commodity. If you had one—you better hang on tight to it. More friends began arriving. Some had to be pushed up or helped along, but the hugs and smiles were plentiful. Everyone was so glad to be together. 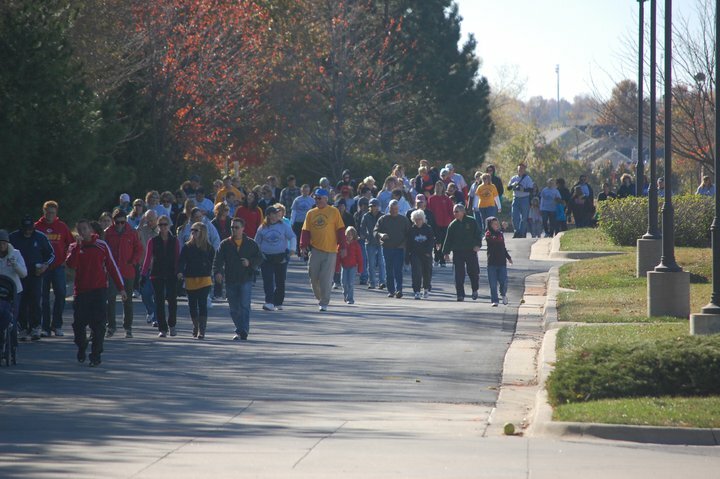 The friends just kept coming; young families with babies in strollers, single moms, young couples without children, grandparents, great-grandparents, city officials, developers. Everyone just seemed to be frozen in a moment of time together. Then the time came for the walk to begin. Old friends, new friends, all started out together on a short, yet monumental walk. The dream, that was birthed in the hearts of those who love their children more than anything, had drawn a community together. Of course funds were raised, political support was increased, community awareness of a need was raised. But more importantly, hope was fanned into a flame for a group of parents who dared to believe that others would care about their children.